My passion is working with clay! I have always been fascinated with the idea that a potter can take a lump of clay and transform it into something functional and beautiful. I enjoy making things that others want to use in their everyday lives. 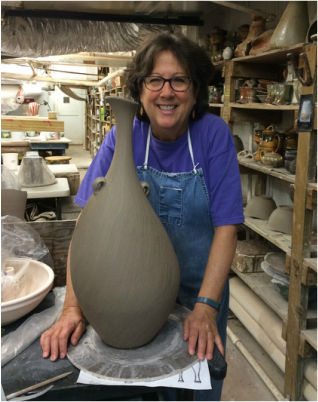 My desire is to create pottery that is aesthetically pleasing and feels good in your hands. I strive to make the cup you reach for when you open your cabinet for your morning coffee or tea. I want my work to have the warmth of handmade consideration. I enjoy the spontaneity of high-fire and atmospheric kilns. Keeping in mind the inherent nature of clay, I aspire to make pottery with well-shaped forms, interesting textures, and glazes that are in harmony with one another. My hope is that my pottery will remind you of the simple and authentic things that add joy to your life.